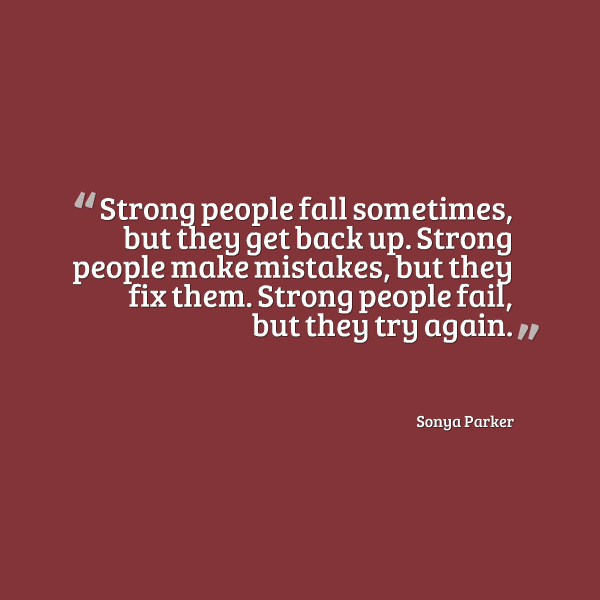 "Strong people fall sometimes, but they get back up. Strong people make mistakes, but they fix them. Strong people fail, but they try again."